Our unique solution on a fermented cat meat base. 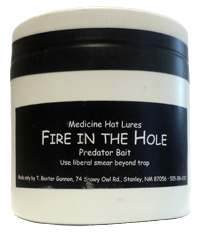 This predator bait performs well in all kinds of weather, and is especially valuable as a change-up and in gang settings. May be used with or without additional lure.